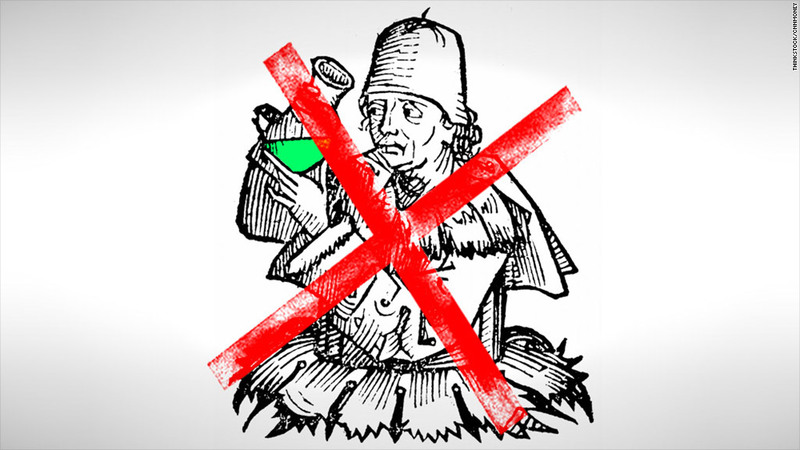 Starting in September, eBay is blocking the sale of potions and other magical goods. Sorry, love spell vendors: eBay is cracking down on the sale of magical wares. Beginning in September, the site is banning the sale of "advice, spells, curses, hexing, conjuring, magic, prayers, blessing services, magic potions, [and] healing sessions," according to a policy update. The company is also eliminating its category listings for psychic readings and tarot card sessions. The update is a part of a "multi-year effort...to build trust in the marketplace and support sellers," eBay (EBAY) wrote in its company blog. Has anyone actually been buying magic on eBay? It seems so: The site's "spells and potions" category currently has more than 6,000 active listings and happy feedback from quite a few satisfied buyers. "Best spell caster on Ebay," one customer wrote after a recent purchase. "Wonderful post-spells communication!" another raved. "We bought 4 spells! Highly Recommend!" Spells and hexes aside, eBay is rolling out a long list of rule tweaks, as it does several times a year. For example, buyers will now be required to contact sellers before getting eBay involved with any issues regarding a purchase. Sellers will also be subject to a fee for ending an auction earlier than planned. EBay also banned the sale of "work from home businesses & information," a category that is often abused by scammers. EBay isn't the only online marketplace culling its listings. Etsy, a platform for homemade goods, also recently prohibited the sale of various items, including drug paraphernalia and body parts.